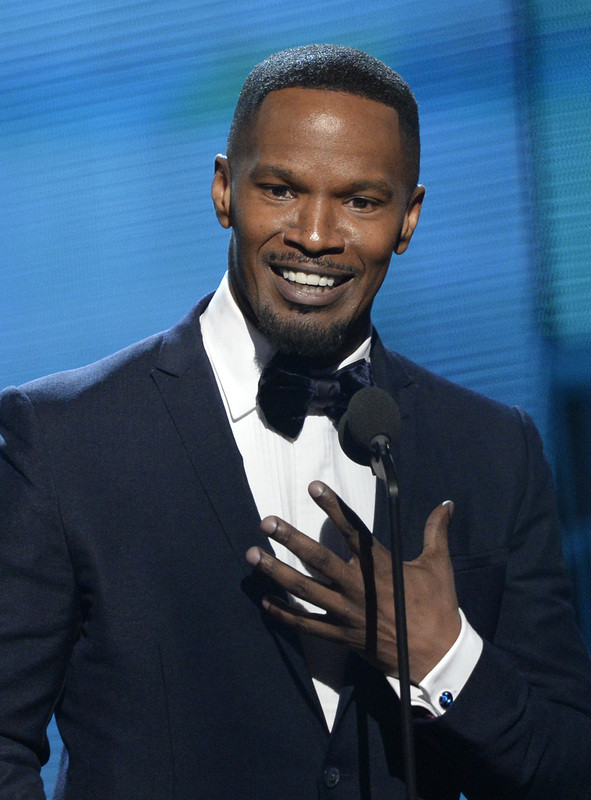 It's inevitable: Jamie Foxx is most definitely going to want to blame that heinous presentation on the a-a-a-alcohol. First, he seemed to lose his direction walking up on stage, going back and forth between looking to the audience and then pointing to the mike, uh what?. Then he went on to imitate Ringo Starr by doing a ridiculously bad British accent, and after he kind of just lost his way and started speaking gibberish? Foxx finally got to the presenting of the Grammy for Best Rap Collaboration and quickly showed for CERTAIN that he may be a little less than sober-- or like totally drunk or high or whatever it is that Jamie Foxx does, because he made the most disgusting and disrespectful joke that he had his way with Mr. Shawn Carter's wife, Queen Bey, backstage. As America cringed (and I screamed at the screen for the powers that be to JUST MAKE IT STOP), Jay and Bey took it in stride and smiled politely. Spoiler: no one, not one soul, laughed at that tasteless joke. Apparently, being on the better end of Grammys karma, Jay-Z went on to win the award with Justin Timberlake for their song, "Holy Grail". In his acceptance speech, Jay did away with all of that Jamie Foxx shenanigans and so sweetly thanked his wife and made mention that she was the reason for winning the award. In other adorable news, he thanked little Blue Ivy as well, telling her she can use his Grammy as a sippy cup. Sure, everyone's dad is that cool, right?